If your betta is suffering from Popeye the good news is the chances of you misdiagnosing it are very rare. And some more good news is that with the right care, Popeye in betta fish is completely curable! So keep reading to find out how to cure it. As well as what causes it, how to prevent it and much more! 6 What Are The Symptoms Of Popeye In Bettas? 13 Can Betta Fish Die From Popeye? The guide you’re about to read will be broken down into different sections. While you may be only looking to treat Popeye, it’s also important to know the causes and ways to prevent it! So you should definitely read the whole article. Popeye is an affliction that affects all fish, not just bettas. Its scientific name is exophthalmia. But Popeye is when pressure behind the eye causes the eye to protrude. It’s a disease that’s easier to prevent rather than treat. If left untreated bettas often die, but hope isn’t lost just yet! Unfortunately, you can’t pinpoint what causes popeye to one source. There are a whole range of causes of Popeye, and if you don’t treat the correct one then the problem is only going to get worse. If you notice your fish has unilateral Popeye (if your fish has only one affected eye) then it may not be an infection of any kind. In most cases, one eye swelling is caused by physical damage. This can be a result of your fish banging into something, getting into a fight with another fish or even if you’re too rough when catching him in a net. If your betta is housed in a tank with others and only he has unilateral Popeye, then it’s almost guaranteed to be the result of physical damage. If you notice that your betta has Popeye in both of his eyes then it’s almost certainly an infection of some kind. The infection can be caused by parasites, fungus or bacteria. You can know for certain if it’s caused by an infection if you notice that your betta is also suffering from another disease as well. What Are The Symptoms Of Popeye In Bettas? If your fish is suffering from Popeye there are more than one symptom apart from the most obvious. The most obvious symptom of Popeye is one or both eyes popping out. In fact, when you see this symptom alone you can guarantee that your betta is suffering from Popeye. As previously mentioned it can be one eye that’s popping out or both, and you’ll have to treat each case accordingly. As well as eyes popping out, your bettas eyes may also change color. They could look cloudy or milky (this occurs when the cornea has ruptured) but it could also look bloodstained. A bloodstained eye is most commonly associated with physical aggression. Your betta will also showcase some of the typical signs of illness when his Popeye is an infection. You’ll notice a lack of energy as well as a loss of appetite. He may also seem to stay in one place more often and try to avoid other fish as well. If your betta is suffering from Popeye then you’re going to have to treat it depending on the circumstances. The way you treat Popeye caused by physical harm is different from Popeye caused by an illness. Remove 10% of the water from your tank and place it into a container. Add your betta to the container and dose it with Epsom salt. There will be a recommended amount on the bottle as well as instructions on how to use it (but if not you should use 1 tablespoon per gallon). Just remember, that you should dissolve Epsom salt before adding it to the container. You should leave your betta in the container for 10 minutes before adding it back to your main tank (remember before adding it back to the main tank it will need to be acclimatized for a couple of minutes). Make sure you float the container in your aquarium to keep the water warm enough. Alternatively, you can also add aquarium salt to your tank which is going to improve your bettas immune system as well as helping him recover faster. If you’re adding salt you should be changing your water more often. The International Betta Congress even recommend using aquarium salt as a general tonic for ailments. If your betta is suffering from Popeye due to infection then the method of treatment is going to be different. Once you’ve moved your betta from your main tank you should also perform a 100% water change. This is going to help reduce the chance of other fish getting infected. Begin treating your betta with ampicillin and aquarium salt. You should use 1 capsule of ampicillin for every 10 gallons of water. Make sure you premix the ampicillin with a small amount of aquarium water before adding it to your tank. If you’re unsure about dosages you should ask a professional. Different medications will require different dosages. Perform a 100% water change every 3 days and add ampicillin and aquarium salts. Make sure you don’t use ampicillin for more than 10 days (or the recommended amount). Once you’ve finished fully dosing your betta, change the water one more time and leave your betta until you feel he’s on the mend. Remember Popeye can take months before the eyes return to normal. The best way to stop your betta suffering from Popeye is preventing it altogether. To do this you should try to prevent the two main causes: physical damage and infection. There are a number of ways you can do this. Make sure you’re not overstocking your aquarium. If there are too many animals in your tank then your filter is going to have trouble cleaning the water quick enough. Remember everything in your tank is going to have a bioload, and if the bioload increases quicker than your filter can remove it then the water quality will start dropping. You should also be routinely changing your water. Depending on the size of your tank this may be a complete water change or a partial water change. The bigger your tank the less water you’ll have to remove and the more time you can leave between changes. If you notice any other fish in your tank have an illness then remove them from the tank and move them to a quarantine tank instead. You should also try to limit the amount of physical harm caused to your betta. This is easier said than done and here are some of the things you’ll need to watch out for. Make sure you don’t have plastic plants in your tank. Plastic plants are too harsh on your betta and can cause damage to their whole body, including their eyes. If you have plastic plants you should substitute them for real or silk ones. Be careful when you plan on handling your betta. If you need to scoop them up, take the extra time to make sure you do it with care. Otherwise, you could damage their eyes with the net. Make sure you’re not turning your aquarium lights on too quickly. This can cause your betta to become stressed and swim frantically. Instead, you should turn the light in your room on for a bit and after 10 minutes turn your aquarium light on. Doing this replicates sunrise a lot better than a sudden change in lighting. Can Betta Fish Die From Popeye? If a betta has Popeye it’s quite hard for them to die from the ailment alone. In fact, it’s not uncommon for eyes to become so damaged that they rot off and the betta still survives. If this does happen it can be harder to feed them, but in general they can still live. But what bettas will die from is the conditions that cause Popeye. If your betta is in bad water and already has Popeye then it’s likely to get other illnesses as well. So while Popeye itself is quite unlikely to kill your betta, the infections that follow if nothing is done aren’t. Just like the last question Popeye itself is not contagious. If you took a betta with Popeye out of your tank and moved it to a tank with great water conditions it’s very unlikely any other fish would catch Popeye. However, if one fish in your tank gets Popeye then the others are more likely to as well. Because infections that cause Popeye need poor water conditions to thrive. So while Popeye isn’t contagious it will infect other fish who live in poor water conditions. Just to recap, the good news is that if your betta has Popeye then he still has a good fighting chance. But you are going to have to make some changes to make sure he lives. Here are the most important things to remember. Popeye is when your bettas eyes protrude from their face. It can be caused by physical damage or infections. If you plan on curing Popeye you have to base your treatment on whether it’s due to physical injury or infection. To prevent Popeye make sure you eliminate anything that can cause physical damage to your betta such as plastic plants. Or if it’s caused by infection make sure you keep the water conditions in your tank excellent. While it’s uncommon for bettas to die from Popeye, if it’s caused by bad water conditions, something else is more likely to harm them. 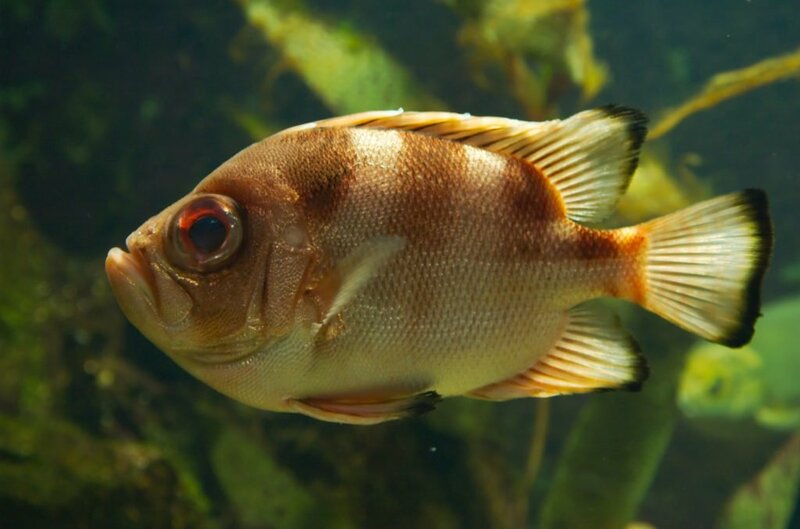 Popeye isn’t contagious but if it’s caused by an infection then the water conditions that cause it are probably doing damage to your other fish as well. Dropsy In Bettas – Dropsy is an uncommon disease but don’t be mistaken. If it’s not caught incredibly early the prognosis doesn’t look good for your betta. Learn how to catch dropsy and the things you can do to treat it. 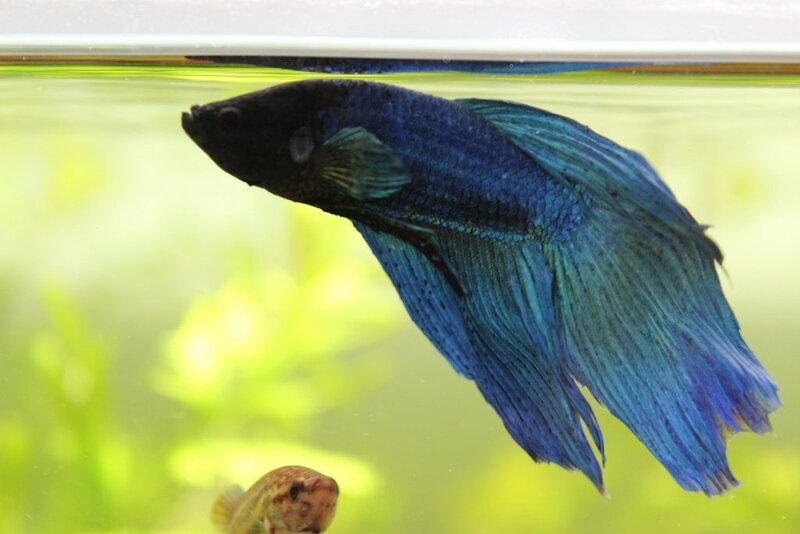 Fin Rot In Bettas – Unlike dropsy, fin rot is a lot more common. While it’s not as dangerous it can still be fatal if not treated right. Velvet In Bettas – Velvet is a parasitical infection that causes a gold dust to cover your fishes body. Find out how you can cure it and the dangers of leaving it too long. Ich In Bettas – Ich can be caused by parasites or bacteria and it’s an infection you’ll want to get rid of ASAP. If you have other fish in your tank it can be even more dangerous, so find out how to treat it!